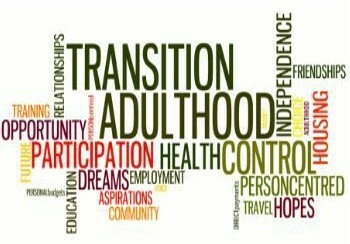 Over one-third (37 percent) of young adults were disconnected during their early 20s, meaning they never got a job or continued education after high school. In comparison, less than eight percent of young adults with other types of disabilities were disconnected. Approximately 26 percent of young adults and 28 percent of those unemployed and not in school received no services which could help them with employment, continue their education, or live more independently. Just 58 percent of young adults worked for pay outside the home between high school and their early 20s, a rate far lower than young adults with other types of disabilities. Those with jobs generally worked part-time for relatively low wages. Approximately one in four young adults were socially isolated, meaning they never saw or talked with friends and were never invited to social activities within the past year. Only about one in five ended up living independently (without parental supervision) in the period between high school and their early 20s. Sixty percent of youth had at least two health or mental health conditions in addition to autism spectrum disorder. Over half of youth had co-occurring ADD/ADHD and anxiety issues in adolescence. Three-quarters of youth took at least one kind of medication on a regular basis for any health or mental health issue. Nearly 50% of youth experienced threats and bullying during high school. Over one-quarter (27 percent) of adolescents engaged in some type of wandering behavior in which they impulsively left a supervised situation, increasing their risk of becoming lost and going missing. The creation of effective and affordable programming tailored to meet the needs of the 50,000 individuals with autism who leave high school each year - each with unique strengths, interests, and challenges - is an urgent task facing our society. It is clear that we are not succeeding as a nation in helping autistic adults to thrive to the best of their abilities and attain a high quality of life. It is time for new approaches. 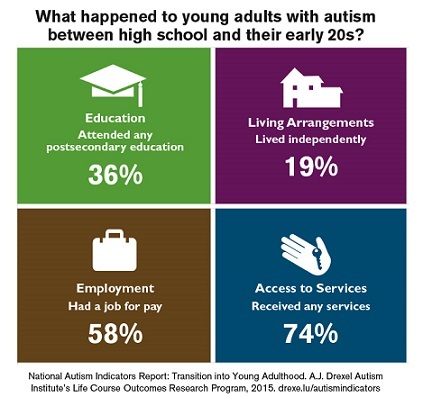 “This is the most comprehensive report to date describing what we know about young adults with autism as a whole and across the various parts of their lives. Yet, it represents only a fraction of what we need to know. Huge gaps remain,” said Anne M. Roux, MPH, research scientist at the A.J. Drexel Autism Institute in the Life Course Outcomes Research Program and lead author of the report. Although these indicators don’t tell us why outcomes are worse for those with autism compared to youth with other disabilities, this report is an important first step toward addressing the gaps in what we know, as we work to build an evidence base about how to help achieve better outcomes. The link to the report download page is http://drexe.lu/autismindicators. Research Autism reports strong positive evidence from peer-reviewed journals that support the effectiveness of music therapy for individuals with autism spectrum disorders (ASD). Based on the literature to date, music therapy has shown good effects in influencing joint attention, social interaction, verbal and gestural communication and behavior. It is considered to be a useful intervention, particularly with young children, and where language acquisition is either delayed or disordered to a severe degree. 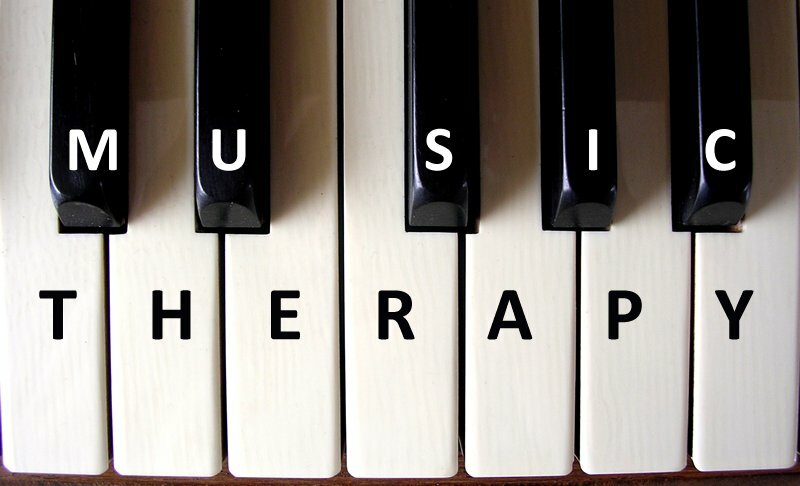 Currently, music therapy is identified as an emerging intervention by the National Autism Center (2015) and incorporates many of the identified ASD-specific evidence-based practices.Supporters of music therapy emphasize that it can be used to develop social engagement, joint attention, communication abilities, while also addressing emotional needs and quality of life. A study published in the journal Autism provides further support for the effectiveness of music therapy with ASD. This study investigated the social-motivational aspects of musical interaction between the child and the therapist in improvisational music therapy by measuring emotional, motivational and interpersonal responsiveness in children with autism during joint engagement episodes. Improvisational music therapy is an individualized intervention that facilitates moment-by-moment motivational and interpersonal responses in children with autism. 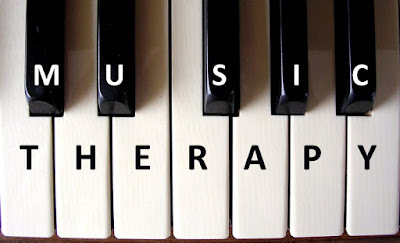 Compared with other therapeutic interventions utilizing music as a background or contingent stimulus, improvisational music therapy involves the interactive use of live music for engaging clients to meet their therapeutic needs. It is gaining growing recognition as an effective intervention addressing fundamental levels of spontaneous self-expression, emotional communication and social engagement for individuals with a wide range of developmental disorders. This randomized controlled exploratory study employed a single subject comparison design in two different conditions (improvisational music therapy versus toy play sessions) and two different parts of a session (an undirected/child-led part versus a more directed/therapist-led part) in each condition. The objective was to compare the effects of these two different media (music versus toys) and to determine how children respond in a musical context with or without direction, compared with a non-musical context such as play activities with toys with or without direction. Participants were children aged between 3 and 5 who were not previously treated with either music therapy or play therapy. A total of ten children (all male) completed the clinical trials. Five children were non-verbal while the other five were verbal with varying degrees of language skills. Eight children were in preschool special education, and two were in mainstream preschool programs that included additional therapeutic supports, such as speech language therapy. The children were randomly assigned either to have the music therapy sessions first and the toy play sessions later (group 1), or vice versa (group 2). In order to differentiate the media used in these two conditions, the therapists in music therapy were instructed to interact with the child mainly through music, whereas the therapists in the toy play condition were instructed to engage the child by any means, but to avoid any musical media, such as singing or rhythmic playing. Observed behaviors were recorded in terms of both their frequency and their duration for two broad categories. The first category concerned the participant’s emotional and motivational responsiveness (joy, emotional synchronicity, initiation of engagement) towards different types of attunement promoted by the therapist in these two conditions. The second category concerned two different types of responsiveness towards the therapist’s initiation of interaction (social invitation and interpersonal demands). Joy referred to an event when the child either smiled (facial expression duration only), or laughed (facial expression with vocal sound) during the interaction with the therapist. Emotional synchronicity referred to an event when the child and the therapist shared a moment of emotional affect duration (happiness or sadness) while engaged with each other. Initiation of engagement referred to an event where the child spontaneously initiated interaction with the therapist, or initiated a change during ongoing interaction, and then expected the therapist to follow. Improvisational music therapy produced markedly more and longer events of joy, emotional synchronicity and initiation of engagement behaviors in the children than toy play sessions. In response to the therapist’s interpersonal demands, ‘compliant (positive) responses’ were observed more in music therapy than in toy play sessions, and ‘no responses’ were twice as frequent in toy play sessions as in music therapy. In the music therapy condition, there were more joy, emotional synchronicity and initiation of engagement events in the undirected part than the directed part, suggesting that children were happier, more able to express their happy emotions and more able to share their affects with the therapist when leading. These results suggest that musical attunement enhances musical-emotional communication together with joy and emotional synchronicity, which results in children’s spontaneous willingness to respond, initiate and engage further. According to the authors, “The temporal structure of music and the specific use of musical attunement in improvisational music therapy suggests that we can help children with autism experience and develop affective skills in a social context.” Creating music relates to the child’s expression, interest and focus of attention may evoke responses from the child to a therapist creating such relational music for them. Moreover, improvising music together is an emotionally engaging process. Music can be an attractive medium, allowing the child his/her own space and the choice of objects, at the same time engaging the child with different objects of the therapist’s choice. Of course, this “exploratory” study has limitations. For example, the small sample makes any generalizable conclusion premature. The test power is low and should be considered when interpreting the results. Likewise, the small sample limits the relevance of subgroup analyses (language, age, severity) as well as therapists’ effects which would be helpful to understanding how children with different developmental needs respond to this type of intervention different therapists. The removal of Asperger’s disorder (Asperger's syndrome) as a separate diagnostic category from the fifth edition of the Diagnostic and Statistical Manual of Mental Disorders (DSM-5) has been widely publicized. The new DSM-5 category of autism spectrum disorder (ASD), which subsumes the previous DSM-IV diagnoses of autistic disorder (autism), Asperger’s disorder, childhood disintegrative disorder, and pervasive developmental disorder not otherwise specified (PDD-NOS), reflects the scientific consensus that symptoms of the various DSM-IV subgroups represent a single continuum of impairment that varies in level of severity and need for support. An important feature of the DSM-5 criteria for ASD is a change from three symptom domains (triad) of social impairment, communication deficits and repetitive/restricted behaviors, interests, or activities to two domains (dyad); social/communication deficits and fixated and repetitive pattern of behaviors. Several social/communication criteria were merged to clarify diagnostic requirements and reflect research indicating that language deficits are neither universal in ASD, nor should they be considered as a defining feature of the diagnosis. The criteria also feature dimensions of severity that include current levels of language and intellectual functioning as well as greater flexibility in the criteria for age of onset and addition of symptoms not previously included in the DSM-IV such as sensory interests and aversions. 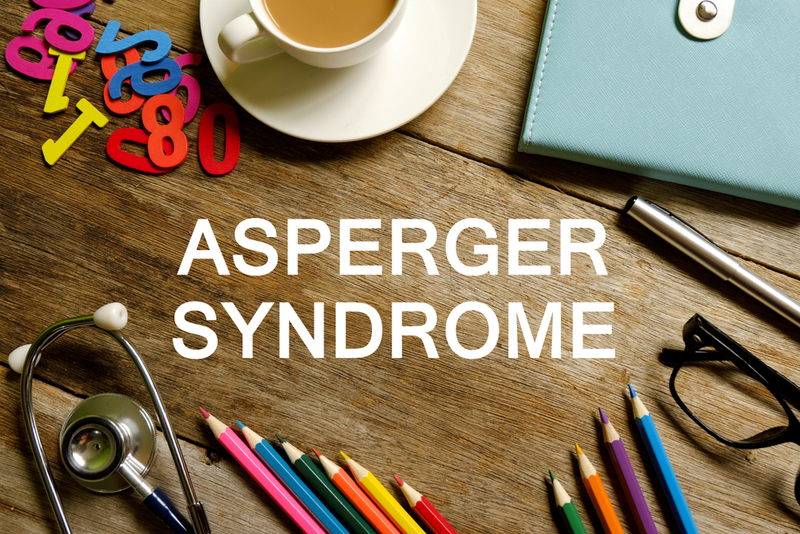 Problems in applying the DSM-IV criteria were a key consideration in the decision to delete Asperger’s disorder as a separate diagnostic entity. Numerous studies indicate that it is difficult to reliably distinguish between Asperger syndrome, autism, and other disorders on the spectrum in clinical practice (Attwood, 2006; Macintosh & Dissanayake, 2006; Leekam, Libby, Wing, Gould & Gillberg, 2000; Mayes & Calhoun, 2003; Mayes, Calhoun, & Crites, 2001; Miller & Ozonoff, 2000; Ozonoff, Dawson, & McPartland, 2002; Witwer & Lecavalier, 2008). For example, children with autism who develop proficient language have very similar trajectories and later outcomes as children with Asperger disorder (Bennett et al., 2008; Howlin, 2003; Szatmari et al., 2000) and the two are indistinguishable by school-age (Macintosh & Dissanayake, 2004), adolescence (Eisenmajer, Prior, Leekam, Wing, Ong, Gould & Welham 1998; Ozonoff, South and Miller 2000) and adulthood (Howlin, 2003). Individuals with Asperger disorder also typically meet the DSM-IV communication criterion of autism, “marked impairment in the ability to initiate or sustain a conversation with others,” making it is possible for someone who meets the criteria for Asperger’s disorder to also meet the criteria for autistic disorder. Another important consideration was response to treatment. Intervention research cannot predict, at the present time, which particular intervention approach works best with which individual. Likewise, data is not available on the differential responsiveness of children with Asperger’s disorder and high-functioning autism to specific interventions (Carpenter, Soorya, & Halpern, 2009). There are no empirical studies demonstrating the need for different treatments or different responses to the same treatment, and in clinical practice the same interventions are typically offered for both autism and Asperger’s disorder (Wilkinson, 2010). Treatments for impairments in pragmatic (social) language and social skills are the same for both groups. It’s important to remember that in the DSM, a mental disorder is conceptualized as a clinically important collection of behavioral and psychological symptoms that causes an individual distress, disability or impairment. The objective of the DSM-5 criteria for ASD is that every individual who has significant “impairment” in social interaction and communication, and restricted and repetitive behavior or interests should meet the diagnostic criteria for ASD. Because language impairment/delay is not a necessary criterion for diagnosis, anyone who demonstrates severe and sustained impairments in social skills and restricted, repetitive patterns of behavior, interests, or activities in the presence of generally age-appropriate language acquisition and cognitive functioning, who might previously have been given a diagnosis of Asperger’s disorder, now meet the criteria for ASD. Specifiers are used to indicate level of severity and "without accompanying intellectual impairment and language impairment." The DSM-5 criteria for ASD have created significant controversy over concerns that it would exclude many individuals currently diagnosed with Asperger syndrome and PDD-NOS, and thus make it difficult for them to access services. However, recently published field trials suggest that the revisions actually increase the reliability of diagnosis, while identifying the large majority of those who would have been diagnosed under the DSM-IV-TR. Of the small numbers who were not included, most received the new diagnosis of “social communication disorder.” Moreover, the accuracy of non-spectrum classification (specificity) made by DSM-5 was better than that of DSM-IV, indicating greater effectiveness in distinguishing ASD from non-spectrum disorders such as language disorders, intellectual disability, attention-deficit/hyperactivity disorder (ADHD), and anxiety disorders. It is important to note that all individuals who have a DSM-IV diagnosis on the autism spectrum, including those with Asperger syndrome and PDD-NOS, will be able to retain an ASD diagnosis. This means that no one should “lose” their diagnosis because of the changes in diagnostic criteria. According to DSM-5, individuals with a well-established DSM-IV diagnosis of Autistic Disorder, Asperger’s Disorder, or PDD-NOS should be given a diagnosis of ASD. Those who have marked deficits in social communication, but whose symptoms do not meet the criteria for ASD, should be evaluated for Social (Pragmatic) Communication Disorder. In conclusion, the DSM-5 category of autism spectrum disorder (ASD), which subsumes the current diagnoses of autistic disorder, Asperger’s disorder, childhood disintegrative disorder, and pervasive developmental disorder not otherwise specified (PDD-NOS), better describes our current understanding about the clinical presentation and course of the neurodevelopmental disorders. Conceptualizing autism as a spectrum condition rather than a categorical diagnostic entity is in keeping with the extant research suggesting that there is no clear evidence that Asperger’s disorder and high-functioning autism are different disorders. As Gillberg (2001) notes, the terms Asperger's syndrome and high-functioning autism are more likely “synonyms” than labels for different disorders. Lord (2011) also comments that although there has been much controversy about whether there should be separate diagnoses, "Most of the research has suggested that Asperger's syndrome really isn't different from other autism spectrum disorders." "The take-home message is that there really should be just a general category of autism spectrum disorder, and then clinicians should be able to describe a child's severity on these separate dimensions." Unfortunately, many individuals may have been advised (or assumed) that a diagnosis of Asperger’s disorder was separate and distinct from autism and that intervention/treatment, course, and outcome were clinically different for each disorder. While including Asperger’s Disorder under the DSM-5 category of ASD will likely continue to require a period of transition and adjustment, this dimensional approach to diagnosis will likely result in more effective identification, treatment, and research for individuals on the spectrum. Attwood, T. (2006). The complete guide to Asperger’s syndrome. London: Jessica Kingsley. Carpenter, L. A., Soorya, L. & Halpern, D. (2009). Asperger’s syndrome and high- functioning autism. Pediatric Annals, 38, 30-35. Delayed Language Onset as a Predictor of Clinical Symptoms in Pervasive Developmental Disorders. Journal of Autism and Developmental Disorders, 28, 527–34. different Disorders? Journal of Developmental and Learning Disorders, 5, 79-94. Howlin, P. (2003). Outcome in high-functioning adults with autism with and without early language delays: Implications for the differentiation between autism and Asperger syndrome. Journal of Autism and Developmental Disorders, 33, 3–13. Leekam, S., Libby, S., Wing, L., Gould, J. & Gillberg, C. (2000) Comparison of ICD-10 and Gillberg’s criteria for Asperger syndrome. Autism, 4, 11–28. Macintosh, K., & Dissanayake, C. (2006). Social skills and problem behaviors in school aged children with high-functioning autism and Asperger’s disorder. Journal of Autism and Developmental Disorders, 36, 1065–1076. Macintosh, K.E., & Dissanayake, C. (2004). Annotation: The similarities and differences between autistic disorder and Asperger’s disorder: A review of the empirical evidence. Journal of Child Psychology and Psychiatry, 45, 421–434. Mayes, S., & Calhoun, S. (2003). Relationship between Asperger syndrome and high functioning autism. In M. Prior (Ed. ), Learning and behavior problems in Asperger syndrome (pp. 15-34). New York: Guilford Press. Mayes SD, Calhoun SL, Crites DL (2001) Does DSM-IV Asperger’s disorder exist? Journal of Abnormal Child Psychology, 29, 263–271. Miller, J. N., & Ozonoff, S. (2000). The external validity of Asperger disorder: Lack of evidence from the domain of neuropsychology. Journal of Abnormal Psychology, 109, 227–238. Ozonoff, S., South, M., & Miller, J. N. (2000). DSM-IV-defined Asperger syndrome: Cognitive, behavioral and early history differentiation from high-functioning autism. Autism, 4, 29–46. Szatmari, P., Bryson, S.E., Streiner, D.L., Wilson, F.J., Archer, L., & Ryerse, C. (2000). Two year outcome of preschool children with autism or Asperger’s syndrome. American Journal of Psychiatry, 15, 1980–1987. Wilkinson, L. A. (Ed.) (2014). Autism spectrum disorder in children and adolescents: Evidence-based assessment and intervention in schools. American Psychological Association (APA): Washington, DC. Wilkinson, L. A. (2017). 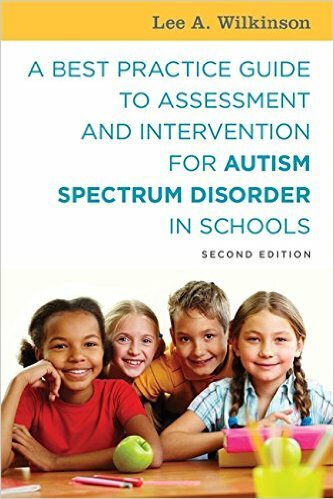 A best practice guide to assessment and intervention for Asperger autism spectrum disorder in schools. London: Jessica Kingsley Publishers. Williams, K., Tuck, M., Helmer, M., Bartak, L., Mellis, C. & Peat, J.K. (2008). 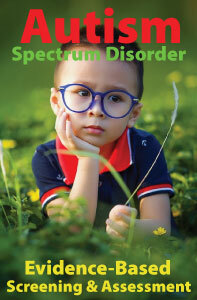 Diagnostic labelling of autism spectrum disorders in NSW. Journal of Paediatrics and Child Health, 44, 108-113. Witwer, A.N., & Lecavalier, L. (2008). Validity of autism spectrum disorder subtypes. Journal of Autism and Developmental Disorders, 38, 1611–1624.